What kind of milk should my kids be drinking? Kids are supposed to drink milk, right? Well, that depends. Q: My 6-year-old daughter seems to have stomach aches all the time. Could milk be causing her problem? A: In the United States, most of us are used to thinking of milk as a healthy drink for kids, and an important part of a healthy diet. But yes, in some cases, milk can cause stomach problems. These problems are usually not dangerous but can be very uncomfortable. The most common milk-related problem is lactose intolerance. In this condition, a person develops abdominal pain, bloating, and/or diarrhea after eating lactose, which is the natural sugar in milk. 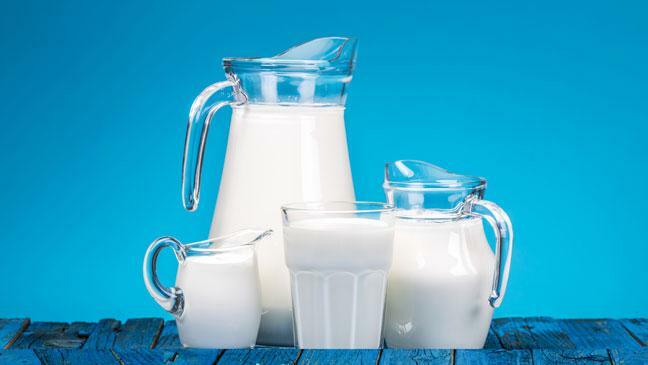 The likelihood of developing lactose intolerance depends largely on ethnic background. All ethnic groups are able to digest lactose well as babies and toddlers, the typical age for children to nurse. But throughout most of the world, people typically lose this digestive ability as older children or adolescents, and some of them start to have uncomfortable symptoms. Milk contains protein and fat in addition to lactose, and sometimes GI symptoms come from the body’s reaction to these other nutrients. Milk protein intolerance usually develops in young infants but is easily mistaken for colic or reflux. In school-age children, like the 6-year-old girl in the question, milk protein can cause constipation. In fact, studies done in a few different countries have found that when children with chronic constipation go on a milk-free diet, about 30% of them will improve. Less common is a classic, IgE-mediated milk protein allergy, a particular subtype of milk protein intolerance. This condition can cause symptoms such as wheezing and hives, and on rare occasions even life-threatening anaphylactic reactions. Kids generally don’t have a lot of digestive problems from the fat content of milk. Whole milk has the most fat, about 3.5%. Reduced fat milks are 2% or 1% fat, and skim milk has no fat. If you think that your child’s stomach pain might be due to milk, it should usually be fine to try switching to a non-dairy milk to see if the symptoms get better. There are many non-dairy milks available on the market currently: soy, almond, coconut, rice, and others. These milks nearly always have fewer calories and less protein than cow’s milk, but usually have a comparable amount of calcium and Vitamin D. However, if milk is a major part of your child’s diet, it would be best to consult with your pediatrician before making a switch. You might also want to discuss your concerns with a specialist in children’s digestive disorders. Dr. Rebecca Cherry is a Pediatric Gastroenterologist at Pediatric Specialty Partners, a private practice in San Diego. Trained at Harvard, Vanderbilt, and USC, she is an expert in the diagnosis and treatment of conditions including chronic abdominal pain and inflammatory bowel disease. Dr. Cherry’s approach includes nutritional management and mind/body therapies. Her office is located in the La Jolla Medical and Surgical Center, at 8929 University Center Lane, Suite 208. Families can call for an appointment at (858) 625-0809 or through the Pediatric Specialty Partners website, pediatricspecialtypartners.com.